Add a little luxury to your weekend wardrobe with this shirt. 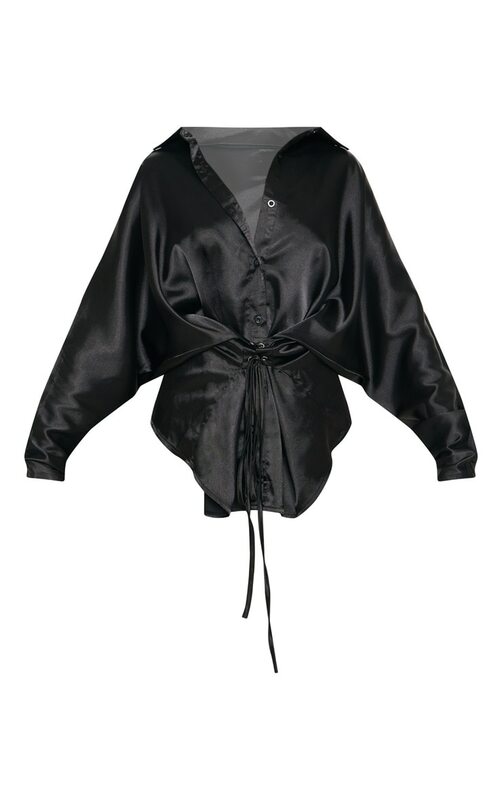 featuring a black satin material with a tie corset waist and long sleeves. Team this with vinyl pants and barely-there heels for a weekend worthy look.